The American Golfer program affords participation in SMGA to wounded veterans who are not located within close proximity to one of our clinic locations. This program matches post-9/11 wounded warriors with PGA of America professionals familiar with teaching adaptive golf. 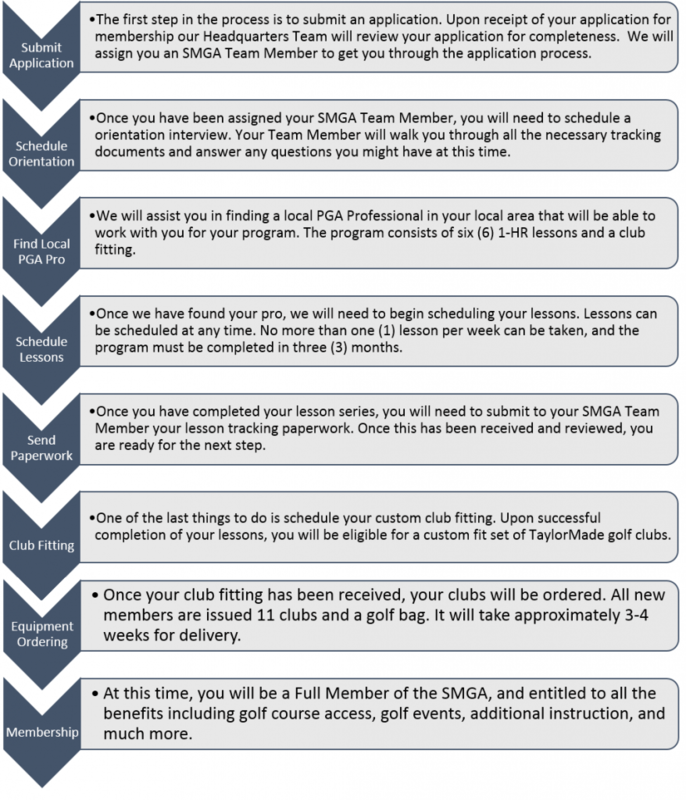 Through American Golfer, SMGA offers a series of private golf lessons covering all aspects of the game of golf. SMGA provides a custom-fitted set of clubs to any veteran who completes the program. In order to be eligible, you must be service member or veteran of the US Armed Forces wounded or injured (incl. PTSD and TBI) while conducting overseas operations in support of the war post-9/11/2001. For more information regarding our membership requirements, please click here. To get start you will need to fill out our membership application. Please make sure to read through, and make sure all parts are filled out and required documentation is included.